Experience the simple yet immense pleasure of harmonizing with others in this fun, uplifting class that teaches multi-part harmony arrangements. In this interactive class you will learn how to sing harmony naturally and intuitively, gaining skills and techniques to find beautiful harmonies. We will start out with the essentials and by the end of the weekend you will know how to harmonize above and below the melody. Prepare to do lots of singing and to challenge yourself to use your ear in new ways as we will go through practice activities, work to blend our voices in small and larger groups, sing songs we love and learn new songs! Natasha has been playing, singing, writing and performing in and around Calgary for over two decades, currently playing accordion and guitar with harmony driven folk quartet Magnolia Buckskin and keyboards with David Martin's eclectic indie project, the Fragments. Her voice is emotive and powerful; her songwriting ranges from intensely personal to downright silly! 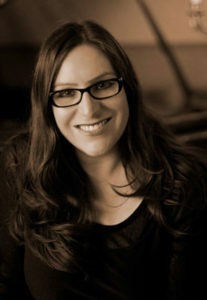 Natasha is a passionate teacher who has taught elementary music in Calgary for over 12 years. She enjoys developing and putting on shows with her 400 music students. 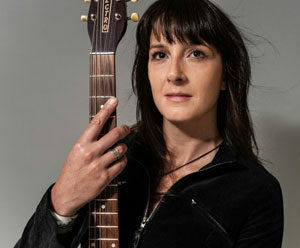 Her 2009 children's album "Big Bad Bantam Rooster" was nominated for a Canadian Folk Music Award. Emily Triggs is an experienced guide in helping many strengthen and realize their authentic musical expressions. She possesses degrees in Creative and Literary Arts, is educated and experienced in instructing. Born into a large musical family, Triggs caught the music bug at an early age. An avid songwriter, she eventually followed her muse from Montreal to Calgary, by way of West Virginia where she explored the Appalachian side of roots. With Calgary bands, she’s been a House Doctor, a Fallen Angel, a Magnolia Buckskin and a member of June Gloom. Pushing the boundaries of what is considered folk/roots she draws on her influences spanning the Deep South with the likes of Lead Belly, through Texas blues, strains from the Appalachian Mountains to her early years in French Canada.